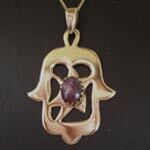 Shaked Designs is a Fine Arts Studio and judaica store. 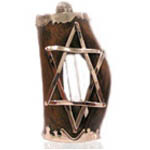 Amongst our works you may find uniquely designed Judaica art and Jewish gifts.. 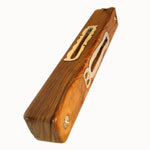 The studio specializes in a combination of natural materials: wood, metal and stones. Each of these raw materials is unique and has a different effect. 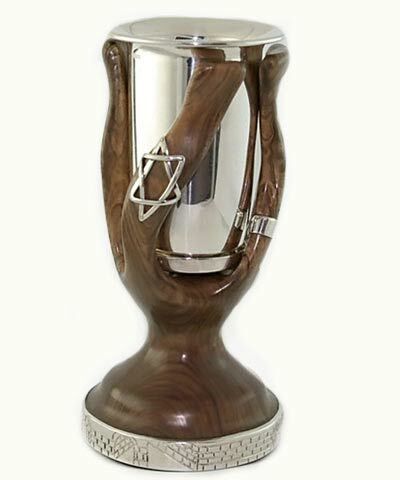 Combining the three ingredients together creates a unique judaica art creation. 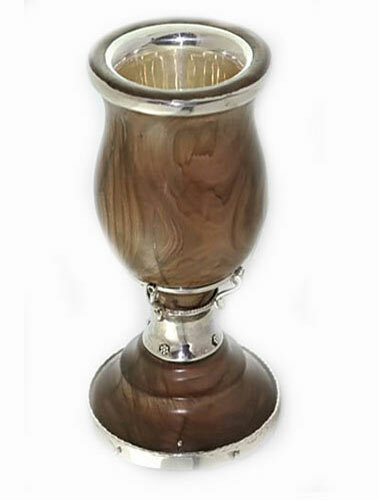 Our judaica art include Kiddush Cups and Mezuzah Cases made of olive wood, decorated silver and gold. 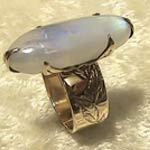 We also make custom made jewelry: Rings and Pandents. 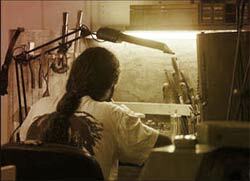 The workshop and the judaica store are located in the Judean Hills, near Jerusalem. I get my inspiration from nature that surrounds the workshop. 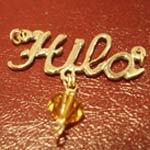 More about me and my judaica art workshop you can find at About us. I enjoy the creativity I had been given. 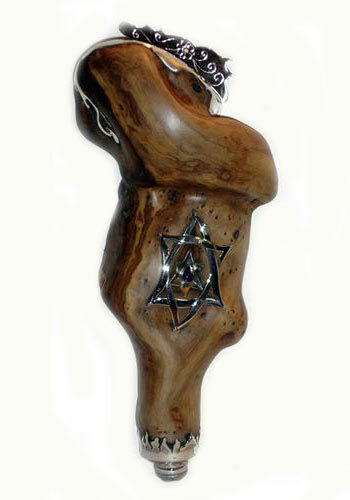 I enjoy create jewish art - judaica and jewish gifts. 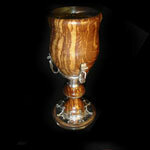 I enjoy working with natural materials. 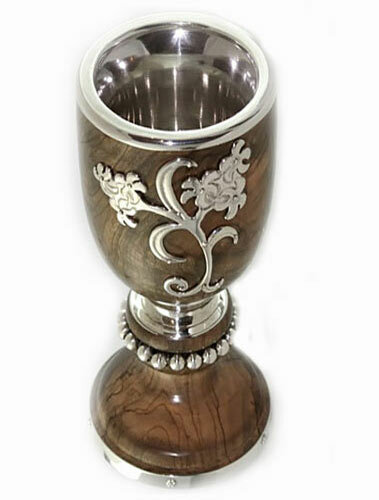 The creation of Kiddush cups abd Mezuzah cases Fills me with satisfaction, And I'm glad that my art makes people feel good and can gives them inspiration. 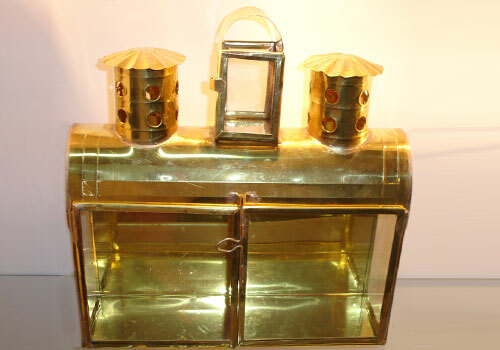 Judaica item. 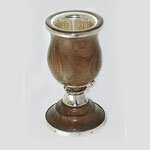 Unique kiddush cup. 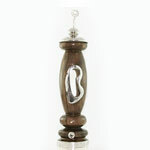 Made of olive wood and sterling silver (925). Decorated with a Star of David and the walls of Jerusalem.